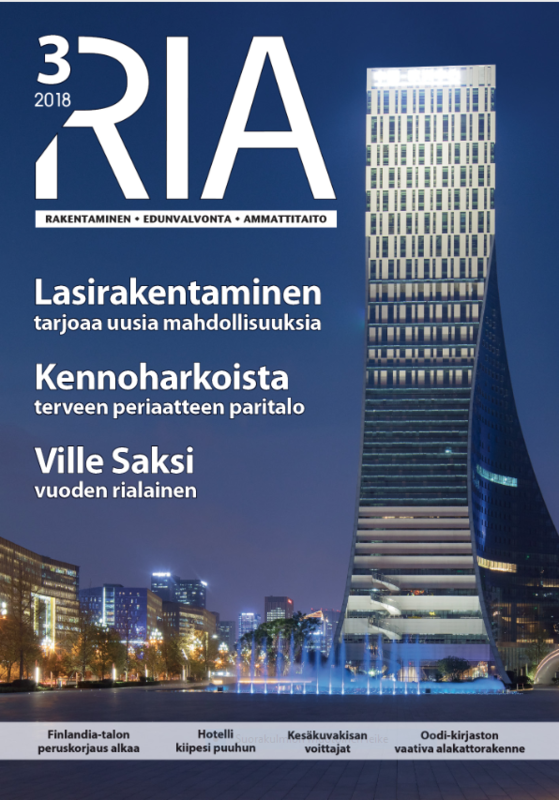 The Association of Finnish Construction Engineers and Architects (RIA) has chosen Länsimetro Oy’s CEO Ville Saksi as RIA Member of the Year 2018. RIA wanted to give Saksi recognition for his solid leadership skills and construction know-how as well as his broad experience of all areas of the industry. The panel based its choice on Saksi’s exemplary leadership of a challenging project that has allowed him to gain the trust and respect of all the partners and workers involved in the project. “Being voted RIA Member of the Year was a pleasant surprise. However, I would like to stress that complex projects such as this one are always a team effort and not a personal achievement, and this award is for the whole team”, Saksi says. Before Länsimetro Oy, Saksi was the CEO of VR Track Oy. He has a bachelor’s degree in industrial engineering. Works on the West Metro’s Matinkylä–Kivenlahti section are currently progressing well in light of all the key indicators. “All the tunnel excavation works have been completed, and approximately 70% of the construction budget has been spent. Our contractors have also been happy with the chosen contracting model. It seems that we have succeeded in winning the contractors’ trust”, Saksi says. The RIA Member of the Year award will be presented to Saksi next week.